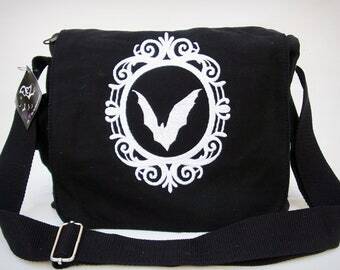 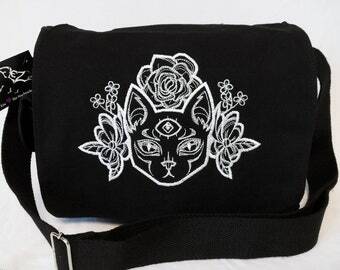 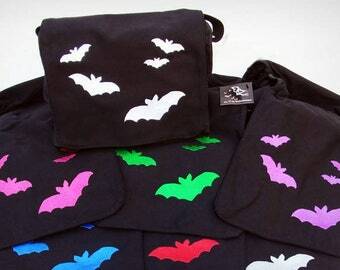 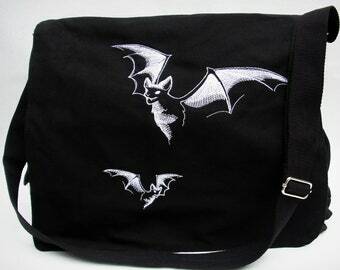 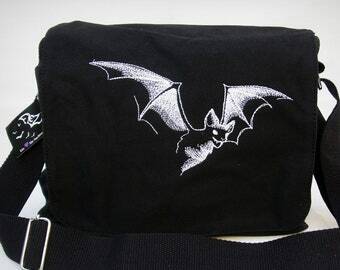 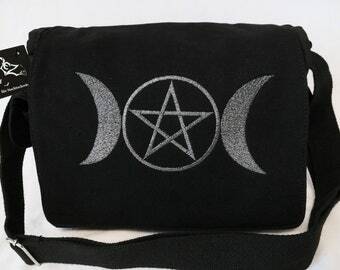 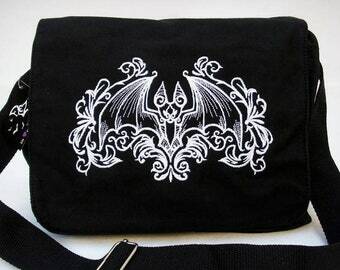 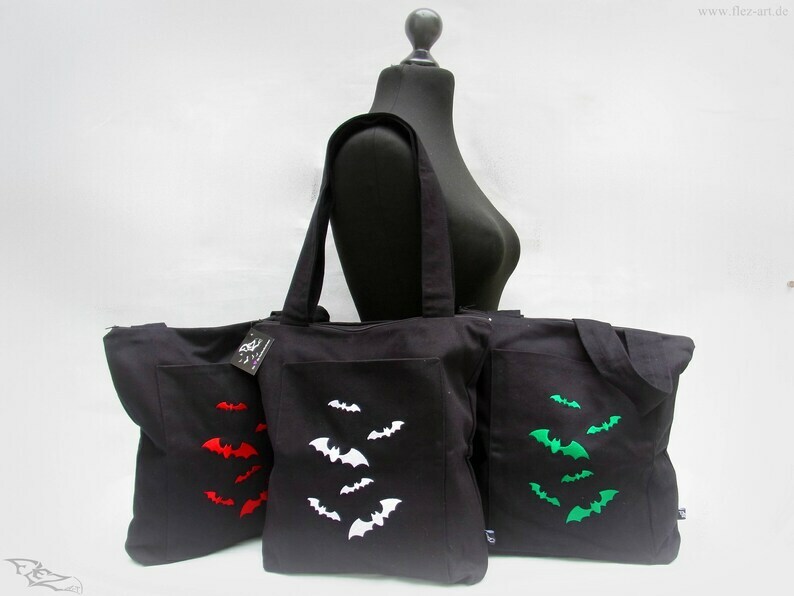 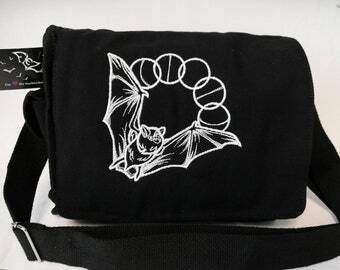 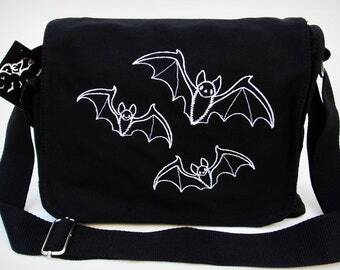 Practical and robust shoulder bag with high-quality bat embroidery. 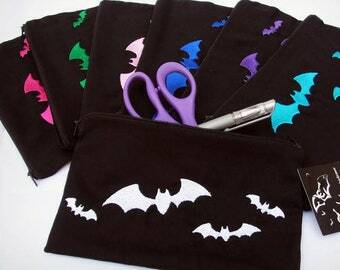 has a large main compartment that can be easily closed with a zipper. 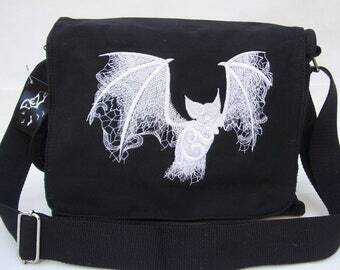 At the front there is an open pocket compartment. 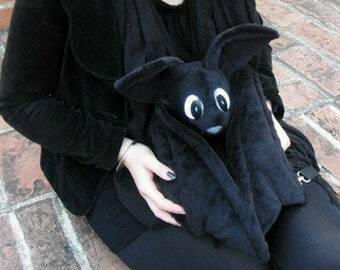 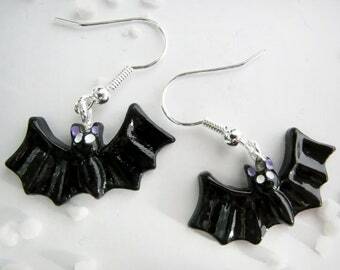 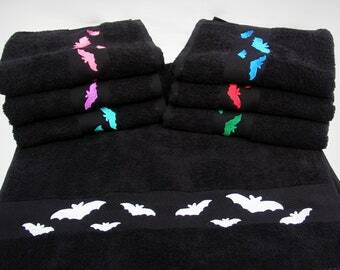 On this is the bat swarm.